There’s one song that’s been sampled far more than any other, according to one measure. 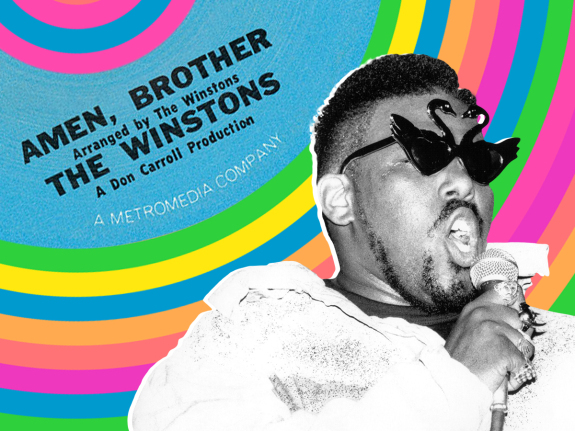 The website WhoSampled.com, whose audience obsessively tracks what’s sampled, says that a 1960s track called “Amen, Brother” by The Winstons is the most-sampled track in history, and it’s not particularly close. By its count, more than 2,000 songs have sampled a particular drum beat from “Amen, Brother” that’s now known as the Amen Break. As you play the clip below, you can hear the The Winstons’ drummer, G.C. Coleman, play the kick drums, snare drums and cymbals in a funky four-bar pattern. But what is it about a 47-year-old, six-second drum solo from a relatively unknown soul band that’s given it musical immortality? The answer involves the invention of two new musical genres, a new piece of technology and a power blackout. Every day, fanatical music lovers identify hundreds of samples from songs old and new and add them wiki-style to the database of WhoSampled.com. Chris Read, the head of content there, vets each new entry with his team of moderators before it makes it onto the site.1 Over the last eight years, more than 400,000 songs featuring more than 225,000 samples have been cleared. Until last year, the Amen Break was running neck and neck for the most sampled spot with a vocal sample from Fab 5 Freddy and Beside’s “Change the Beat,” which features a distorted version of someone saying the phrase, “Ahhh, this stuff is really fresh.” But as the WhoSampled database has expanded out of its hip-hop roots to cover other genres over the last few years, the Amen Break has taken the clear lead due to its versatility. Artists who have used the break include early hip-hop acts such as N.W.A., electronic music pioneers The Prodigy, the heavy metal band Slipknot, Janet Jackson — even David Bowie. According to early hip-hop producer Louis “BreakBeat Lou” Flores, DJ legend Afrika Bambaataa was the one who first broke out the “Amen Break.” It was in the late-1970s, and DJ culture had just gotten a fingerhold in New York City. The first MCs — impresarios such as Kool Herc, Grandmaster Flash and Bambaataa himself — had started spinning their favorite tracks at clubs and parties, inspiring their young followers with a treasure trove of danceable beats. These MCs were already highly competitive with one another; they hoarded their favorite albums and masked the identity of their favorite tracks (much easier to do in the pre-Shazam days). That competition was taken to another level after the NYC blackout of 1977. The oft-told story goes that widespread looting of electronic shops led to a proliferation of otherwise prohibitively expensive turntables and other audio equipment into poorer neighborhoods in the Bronx and Brooklyn; as a result, the number of DJs multiplied overnight. MCs looking for an edge had to dig even deeper into the archives of rock, funk and Motown records that supplied their beats. Flores, who MC’d with Bambaataa, said that Bambaataa had found the track “Amen, Brother” on the B-side of a once-popular 1969 soul record by The Winstons, and kept it in his secret stash. (Attempts to reach Bambaataa, who has recently been accused of having committed sexual abuse in the 1980s, through his lawyer were unsuccessful.) The whole song was eminently danceable, but the party really got going during that six-second drum break a minute and a half into the track. Flores said Bambaataa would slow the break down — going from a 45 rpm to 33⅓ rpm — and play it again and again as B-Boys (or “break boys”) tore it up on the dance floor. In 1981, Flores, just 15 years old at the time, and his business partner, Lenny Roberts, decided to show off the diversity of early hip-hop influences by collecting their favorite songs into one record, and in doing so revealed Bambaataa’s secret. In addition to “Do the Funky Penguin” by Rufus Thomas and “Mary, Mary” by The Monkees, their record “Ultimate Breaks & Beats” included “Amen, Brother” — with the slowed-down version of the Amen Break. Flores said that at first “Ultimate Breaks & Beats” sold modestly — mainly to club DJs — but in 1984 a new recording technology called a sampler made it possible to layer music samples throughout songs. A sampler was basically a fancy tape recorder that allowed anyone to record a sound and play it again and again at different pitches at the touch of a button. All of a sudden, musicians of all stripes started hunting down their favorite breaks, and “Ultimate Breaks and Beats” became a hot seller once again. By 1986, there was enough demand to re-release the album, the first in a series of 25 volumes of “Ultimate Breaks & Beats” that Flores would produce. The soundtrack category largely contains songs from video game soundtracks. By the early 1990s, the Amen Break wasn’t just being used by acts such as Rob Base and Heavy D, it had become one of the foundational beats of an entirely new electronic dance music genre: jungle. Jungle artists often sped up the break, sliced it up into individual drum hits, rearranged it, and played it for minutes at a time while layering techno, reggae and a melting pot of other sounds on top of it. Because the Amen Break is a short, drums-only breakbeat, it sounds good at all sorts of speeds and with all sorts of alterations, making it easy to loop and quite adaptable to all sorts of genres. “You can whack basically any sample, loop, synth or bassline over it, and it’ll sound ‘good,’” said Yoël Bego by email. Bego creates all sorts of electronic dance music under the DJ name Coco Bryce and used the break in his new track “Massiv.” Even after Jungle’s popularity started to ebb before 2000, the Amen Break kept the beat. G.C. 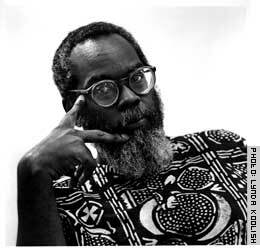 Coleman, The Winstons’ drummer who actually played the original Amen Break, never made any money from its popularity; he died homeless in 2006. His bandmate in The Winstons, front man Richard Spencer, also did not benefit from the widespread use of his band’s music. But in 2015, a couple of British DJs launch a GoFundMe drive asking people who have benefited from the Amen Break to give back. Two versions of the drive have now netted Spencer almost $33,000. Once you’ve got the distinctive beat of the Amen Break in your head, you can hear it in all sorts of places: it’s cropped up in the “Futurama” theme song, on the title screen of “The Powerpuff Girls,” on “SimCity 4,” even in Jeep ads. While some of its latent popularity is likely due to nostalgia — or perhaps even a result of an industrywide in-joke a la the Wilhelm scream — Read thinks that it’s now simply become a standard go-to in many studios. “A lot of producers use it without having known they used it,” he said.